Way of Will Tea Tree Essential Oil - Wildland Supply Co. This Tea Tree essential oil is from Australia and is known for its therapeutic and healing properties. A narrow-leaved small tree that grows in swampy areas, it expresses a warm, camphoraceous, medicinal scent. Tea Tree essential oil is cleansing and ideal for treating fungal infections, improving acne and oily skin and preventing colds and flu from developing. It also invigorates the mind and body. Quick use: The antimicrobial and immune-stimulating properties are useful during cold and flu season. Put 5-10 drops of essential oil in a diffuser to help prevent colds/flu from developing. Experience through deodorizing: Drop 3-5 drops of tea tree oil into your shoe to deodorize. Experience through application: Dilute 3-4 drops of essential oil in 10ml of carrier oil for local application. 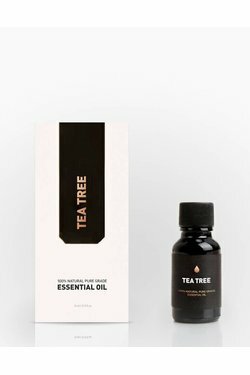 100% natural pure grade Tea Tree essential oil.